Growing up I always remember there being a threat of getting into a fight. Sometimes it was lingering out there on the playground after school. Sometimes it was a battle of might with my brothers. But even though I was never much for size I still managed to stop fights before they started. With one simple skill. This week on the Next Generation Show we reveal top pressure points every prepper should know by heart. You can learn or teach these simple movements yourself. And if you or your kid are faced with a larger foe you might stand a fighting chance at diffusing a bad situation or evading an attack. But this skill set isn’t just for fighting. The same pressure points we discuss can also be used to alleviate pain and reduce the dependence on some medications. 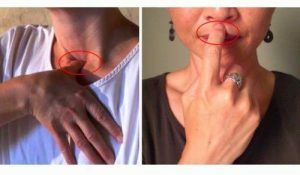 Everything from headaches to depression, anxiety to blood pressure can be relieved with the proper pressure points. We’ll be spending time on the healing effects of some forms of acupressure also. We’ll demonstrate a few of these for you and do our best to describe the methods and effects. We’ll also cover the benefits for self-defense and evasion along with self-healing and symptom relief. You may be surprised by the amount of relief these handy tricks can bring. Also, join us for the Pint-Sized Prepper Project of the Week where we show you a simple way to increase your grip strength with those old phone books you have lying around the house! Listen to “Pressure Points Every Prepper Should Know The Next Generation” on Spreaker.